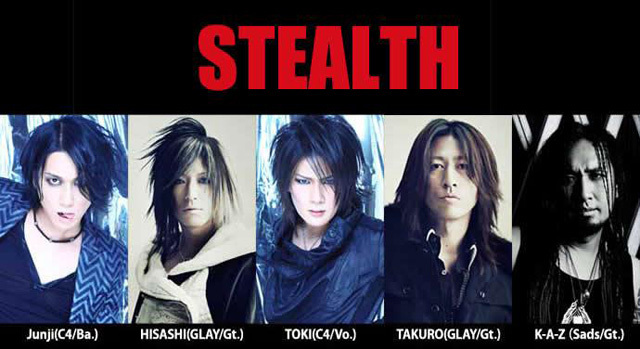 A collaboration group made up from members of C4, GLAY, and Sads. The lineup consists of TOKI (C4/Vo), TAKURO (GLAY/Guitar), HISASHI (GLAY/Guitar), K-A-Z (Sads/Guitar), Junji (C4/Drums), Tomoi (C4/Drums), Toshi Nagai (GLAY Support/Drums), Seiichiro Nagai (GLAY Support/Keyboard). On May 28, 2009, appeared on stage for the first time at Shibuya AX. With the plan to “donate the entire proceeds for children who live in welfare facilities”, the band released its first full-length album “Alstroemeria”. All lyrics are written by TOKI (C4) and all songs are written by TAKURO (GLAY). Performed by world-class Japanese artists who assembled sharing their views. On January 16, 2013, held their first one-man live concert with the aim to realize their wishes to let the children who have been taken away the right for their parents’ love “believe in a future called adulthood”. In January 2014, A DVD capturing that show was released.